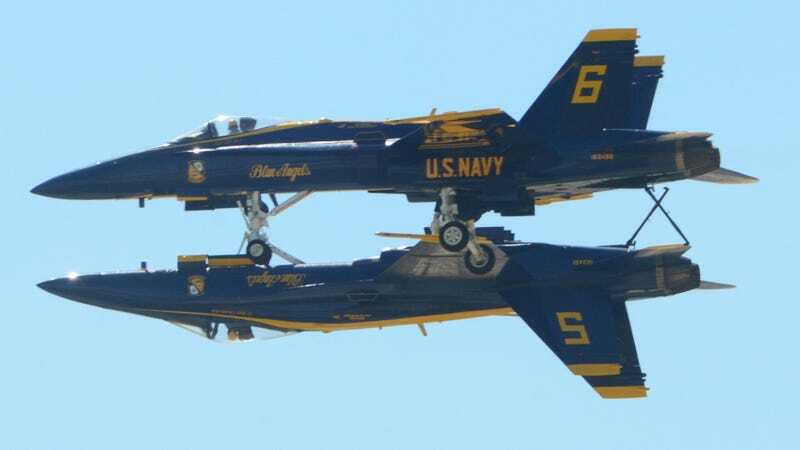 The Blue Angels are no strangers to suicidal-looking formations and dives. But this one in particular really stands out as looking quite incredibly dangerous. In this photograph, two of the squadron’s pilots perform over the Naval Air Station Fort Worth Joint Reserve Base. It’s a trick of the angle, of course: The airplanes aren’t actually touching. But they are so very, very close to each other.